TOWSON, MD. 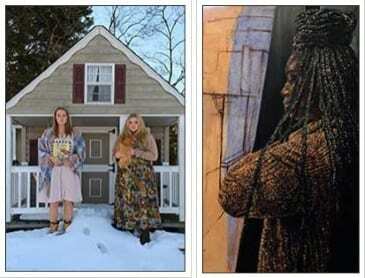 – Baltimore County Public Schools students earned honors at the awards reception for the 32nd Annual High School Art Exhibit, held at the Rosenberg Gallery at Goucher College. The exhibit closes on Tuesday, June 12. Many of the works are available for sale. For more information, contact the Office of Visual Arts at 443-809-4030. The exhibit was made possible with the support of Goucher College, Azrael, Franz, Schwab & Lipowitz, and the Baltimore County Commission on Arts and Sciences.